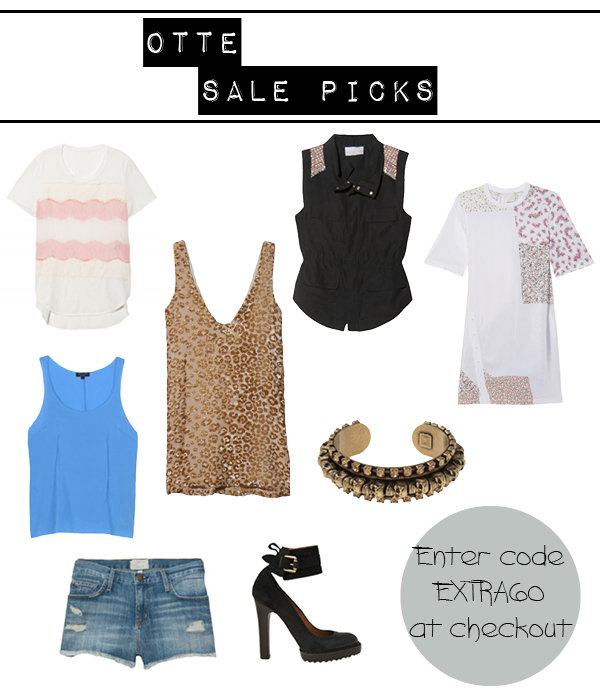 There's really no better way to kick off a weekend than with a great sale (hello, payday!). Otte NY is currently offering an extra 60% off already reduced sale merchandise through Sunday on brands like Alexander Wang, Rag & Bone and 3.1 Phillip Lim. You already know I'm there-I picked out some of my favorites, like the shimmery leopard print dress or laced-trimmed tee. Thanks for the heads up on this sale!